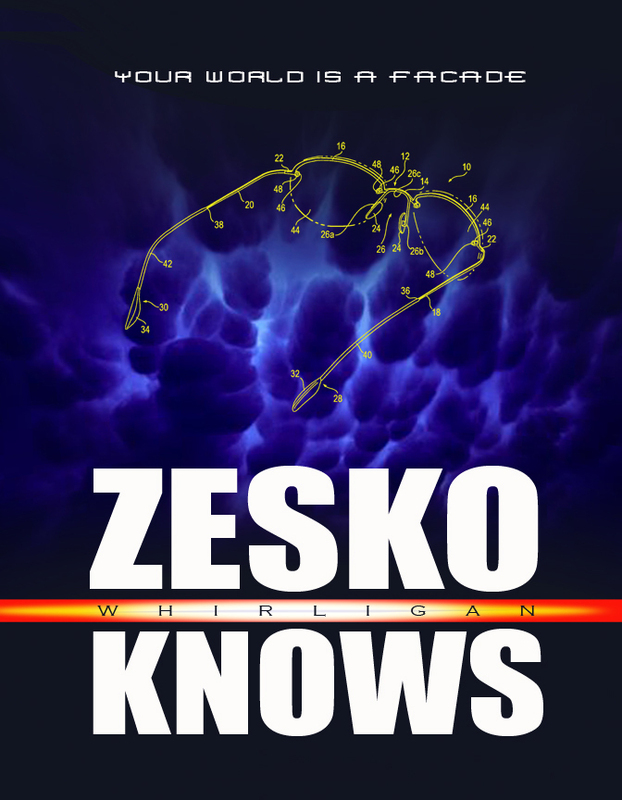 Zesko Knows: LIFE: GOD'S REMOTE OPERATED VEHICLE? Hey, I've maintained that the Life molecule is so tenacious that it's hard to find a place where it CAN'T adapt; however, the seed of Life, sewn across the Cosmos, doesn't merely adapt. Life changes the environment to make it more hospitable to Life. Life is a HELLUVA hi-tech bio-engineering project. What a complex molecule. The all terrain molecule. Look at this thing called Life... It replicates, it consumes, it defecates, it SEEMS to be PROCESSING the natural resources, the raw minerals and compounds upon which Life feeds, right? Processing them for what? Just for the sake of processing? Into Infinity? Physicists HATE Infinity. So, Life must have a GOAL, an objective within a Finite Universe. Life is supposed to infest every corner of the Universe, to SAMPLE the Creation. And to communicate what we learn about Creation back to the Creator. See, I don't think the Creator really knows the full extent of Creation. He made the thing, but it's just too big and complex and, to top it off, it only lasts for a split-second from his perspective, if he chooses to view it in that manner. But, for an extremely advanced technology, what better way to observe a CCP than to "go inside" the EVENT and watch it happen in real time? I think that's what the Creator has done... Unleashed an exploratory germ called LIFE into this fabulous Creation to sample it, consume it, process it and then return the pertinent information to the Creator. That makes Life sort of like God's Remote Operated Vehicles, on a ceaseless mission to consume, analyze and report for all eternity. I've said in other posts that I think our brains are Quantum Antennas, but all living things have Quantum Antennas that facilitate communal behavior, propagation of species, and even instantaneous communications across the entire Universe. That's the information that the Creator is gathering, get it? We experience Life, and our experience, our metabolism, our every sensation, is communicated to the Creator.